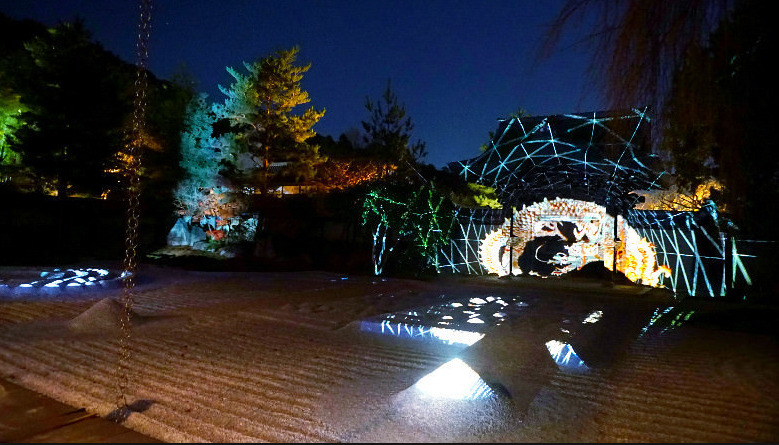 Recently, the world-renowned semiconductor manufacturer Rom (headquartered in Kyoto, Japan) held the annual “Rome Lantern Festival” in the area around Kyoto headquarters. This event has ushered in its 20th year this year and has become the largest lighting feast in Kyoto. With the theme of “Sharing a Light Feast and Sharing the Emotional Moment of the Heart”, from November 22 to December 25, during the one-month period, about 860,000 colored lights illuminate Kyoto, bringing the wonderful time of the warmth to Kyoto’s winter. Let’s take a look at the “Rome Lantern Festival” and the mystery of the Roma LED used in it. One of the highlights is the annual “University A cappella concert”. There are 47 groups of a cappella ensembles from 11 universities in the Kansai region of Japan. They performed 8 performances a day and performed 94 performances during the event. It is the largest a cappella performance in the Kansai region. The lights on the lawn square and the songs of the students together create a dreamy sound and light situation, and a special time to heal the soul. In addition, the lighting of the lawn square this year is also newly renovated. People can enjoy the dynamic lighting show “Glorious Cocktail Garden” by LED strips (about 1 meter high) embedded in the lawn and large LED screens (6 meters high x 12 meters wide), spreading like ripples .The light that comes in the space that continues to extend into the distance, echoes with the music, and is as beautiful as it is. In addition, as the symbol of each Lantern Festival, the “Mountain Peach Tree” and the “Sparkling Trail” filled with the dreamy atmosphere make the Lantern Festival bright and beautiful. Visitors to Kyoto for sightseeing may wish to experience on the spot.